The industry is facing the challenge of networking machines and comprehensive IT systems in the production processes. The reason behind this is the necessity to have an overview of all production and logistics processes across the entire supply chain right through to order fulfillment stage and delivery to the customer. In this respect, it is essential to ensure that all available data is transparent so that goods can be produced individually to suit customer needs right through to batch size 1, or adapted to suit fluctuations in demand as flexibly and efficiently as possible. Data quality is a key contributing factor to whether or not the objective is actually achieved. Within the production processes, sensor technology takes care of measurement, testing, and monitoring tasks, and records the necessary data. 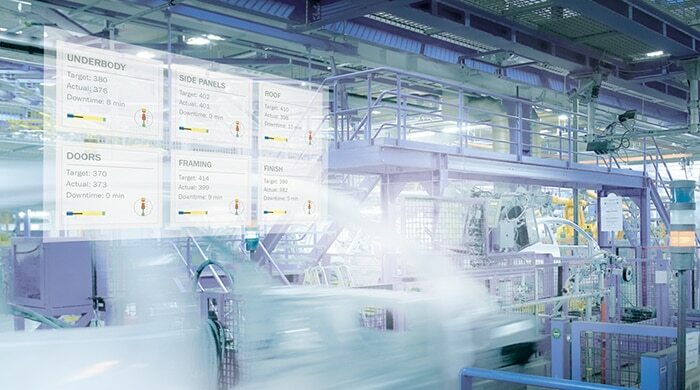 Just like before, this data is then transferred to the control for the production machine itself, directly to the production control system (for example, for improving formulas), in parallel to higher quality IT systems, or even to the cloud for comprehensive track-and-trace monitoring tasks. Sensor intelligence from SICK supports and relieves data processing tasks by using intelligent functions to evaluate measurement data directly in the sensor, and transferring the relevant user data in the form of prepared information. 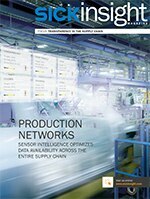 This issue of our magazine SICKinsight shows the large range of application-specific sensor and system solutions – including those for identifying and tracing materials and products – making it possible to reduce stock levels and throughput times.